Battle for Victory with Chess: Super Mario! 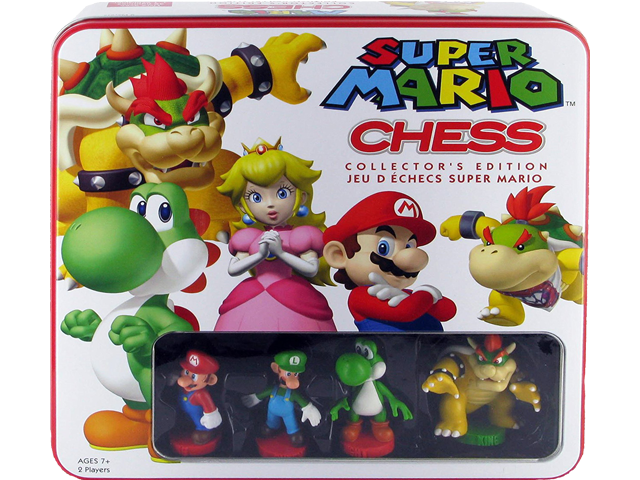 Mario™ and Bowser™ are battling it out once again; this time in the classic game of Chess! Pick your team and take control of 32 hand-painted playing pieces including: Mario, Luigi™, Bowser, and more.